Fee waiver requests seem like a clever way to reduce the amount of money spent submitting to film festivals – until you consider the hidden costs. Many people who discover Film Festival Secrets on the web wind up on the site because they’re searching for film festivals with no submissions fees. It’s true there are a number of such festivals out there and that I maintain a list of them. Finding the festivals that are a match for your film and offer cheap or free submissions is an obvious and important part of maximizing your submissions budget. 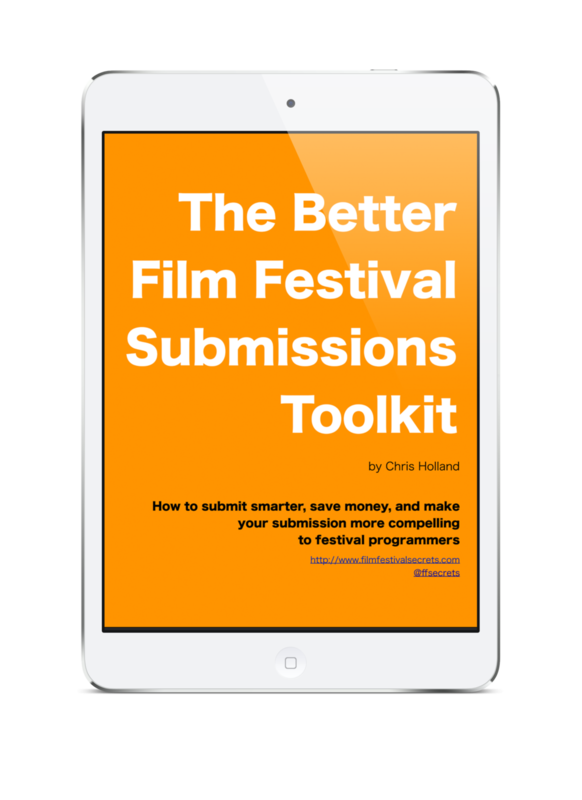 More important, however, is formulating a festival strategy that best uses your festival submissions resources (money and time and energy) to get your film into the hands of festival programmers who are looking for films like yours. At the moment, however, I’d like to talk about the most common – and least effective – method filmmakers use for saving money during their festival run: the generic fee waiver request. For the uninitiated: a fee waiver is just what it sounds like. Festivals occasionally waive the fee to submit a film to their festival, allowing the filmmaker to send their film for consideration without charge. This is most common for filmmakers whose films have been played at the festival before, or for films that have come to the attention of the fest programmer through another festival or other means. Sometimes, though, programmers (or their interns, or whoever’s answering the email that day) will offer fee waivers on a whim – because a film looks interesting, or they’re in a good mood, or whatever. The key thing is that a fee waiver is generally issued in response to a specific ask, most often by email. Many filmmakers come up with the idea of canvassing for waivers on their own, and many more are advised by their peers to give it a try. What have you got to lose? All it takes is some grunt work looking up film festival email addresses and the tedious process of copy-paste-sending a form email to ask the festival for a waiver. After all, your film is special, and you spent your whole budget making it, and you just know it’s unlike anything they’ve seen before. Email a few hundred festivals and the waivers should start rolling in, right? The seductive thing about the “shotgun” method of fee waiver requests is that is kinda-sorta works. If you email enough people asking for help, statistically some number of them will respond in the positive. It’s just spam on a smaller scale. Racking up a dozen or so fee waivers (and thereby “saving” yourself a few hundred dollars) feels pretty good, until you realize that you scored waivers to a bunch of festivals you’ve never heard of and probably never would have submitted to if you’d been paying for them. More to the point, how many of those festivals are events that you’d actually want to attend if they played your film? The festivals that are most willing to hand out waivers freely are the smaller ones just starting out. Such events tend to get only a few hundred submissions each year, so many of them view waivers as a tool for simply getting more films to choose from. You may have guessed that such fests don’t have a lot to offer in the prestige department. No offense is intended the directors of smaller fests who may be reading this. Many of my favorite festivals are small-town, intimate affairs and they are often more fun to attend than the bigger events. If taking your film to larger, more renowned festivals is one of your priorities, however, it’s important to know that the more prominent a festival is, the less likely it is to hand out waivers of any sort. This is how the shotgun waiver request method can be both popular and gratifying but also quite an ineffective method of submitting to festivals. It feels like you’re accomplishing something, but the results aren’t what you really wanted. Though the intention was to save money, the time and energy spent soliciting waivers would probably have been put to better use researching festivals that would actually be interested in your film, or in raising the dollars you need to submit to the festivals where you really want to play. One last consideration: while most festival organizers recognize fee waiver requests as an innocent attempt by inexperienced filmmakers to save a few bucks, the deluge of such requests does wear one down after a while. Programmers who have been in their jobs for a few years often come to view filmmakers who plead for fee waivers as little more than panhandlers. By adding your voice to the chorus of beggars, you may be chipping away at your own reputation in the eyes of the very people whose help you seek. Not a good thing. So: when is a fee waiver request actually appropriate? And how can you increase your chances of actually getting one from a festival you care about? Find the answers in the next article you should read: How To Request Fee Waivers (and Actually Get Them).